Dreamweaver is one of the most popular website builders available on the market today. With years of refining, it’s an exceptionally efficient tool for both the beginner and experienced user. With the capability of creating in either HTML or design mode, even with little coding knowledge it’s relatively easy to build a stunning landing page. The benefit of using software such as Dreamweaver is the fact that you are limited only by your imagination in what you can create. Starting with a blank canvas gives you the opportunity to build something completely unique. However, if you’re lacking inspiration and a clear idea of what you want to do, it’s not recommended! There is a whole array of resources available online when it comes to learning the ins and outs. Also, since it is such a widely used program, you can pretty much guarantee that someone has come across any issue you might face beforehand and written about it. The software, however, is not cheap with the general price around $360 for the latest version. WebEasy Professional is a WYSIWYG page creator, using drag and drop technology and prebuilt templates to create fantastic looking pages. The ease of use of this software comes mainly from the fact that it uses a format similar to that of Microsoft Word, which renders it simple for anyone who uses the Office package regularly. Just like Dreamweaver, it has a built-in FTP client that allows you to upload your content straight to your hosting provider. You can also edit your page using HTML if required. However, WebEasy will not allow you to import anything other than HTML; so any CSS or Java, for example, will not work. Compared to Dreamweaver, the package is cheap at only $49.95, however the support system has received quite a few bad reviews and the tutorials and instructions are seemingly very unhelpful. 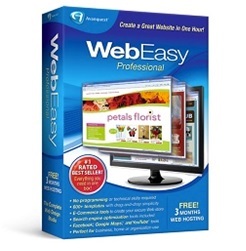 WebEasy Professional will not work with a Mac computer and is strictly for PC operating systems. KompoZer is a completely free, downloadable web page editor that combines the ease of WYSIWYG editing with the flare of unlimited design possibilities for the more advanced user. KompoZer lacks in support, which is understandable for a free program. 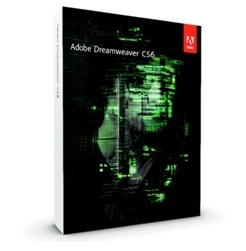 One of the bigger differences between this piece of software and Dreamweaver is that it doesn’t assist you in the creation process as much as the Adobe package does. Dreamweaver makes learning PHP and MySQL incredibly easy, whereas KompoZer hasn’t quite gotten that far yet. ThemeForest is a diverse database of over 11,000 themes that you can download and use to create your landing page. These themes cover a huge range of categories and you’re guaranteed to find something you like to work with your WordPress site, or even to download as HTML and tweak in Dreamweaver. Aside from the available themes being of an incredibly high quality, the other awesome benefit of using ThemeForest is that you can pay for and download themes individually – you’re not paying a monthly fee for the ability to use just one. Prices range from $3 to $90, so there’s something for any budget. The support center of ThemeForest itself is concise and helpful, but as you’re buying individual products from different creators, the support you receive for your specific purchase can vary between designer. The features and limitations of each theme will also vary, so make sure you do a good amount of research into the designer you’re buying from before you make your purchase. This entry was posted in Drip Marketing, List Building. Bookmark the permalink.